Thoreau makes a powerful statement when he acknowledges that humans must be human before pursuing their political agendas. This does not mean that subjects cannot protest when a government is abusing its rights or that free speech ought to be confined to the bounds of morals and ethics. People must simply voice their plight and concerns in a respectful way. If a protest does not remain civilized and peaceful, then the protestors are dragging themselves down to the same level as those by whom they feel oppressed. Such disputes turn into long, whirling spirals of hypocrisy that never end and, ultimately, lead nowhere. It is important to discuss the flag burning that might have occurred on the Green — in defiance of President Donald Trump’s America — had tens of veterans not shown up in counter-protest on Friday, Jan. 20. Although burning the American flag is an action people have the right to do under the Constitution, one must think about the significance of symbols and the repercussions of their destruction. Many may argue that the flag is simply a piece of cloth, but by the same logic, a birth certificate is only a piece of paper and a family photograph is only colored ink. Symbols are so powerful because they mean so many different things to different people. To veterans, the American flag is a symbol of a nation for which they are prepared to lay down their lives. To foreigners who wish to immigrate to our country, the American flag is a symbol of unparalleled opportunities and liberties. To the Islamic State, the American flag is a symbol of a culture that must be eradicated from the face of the earth. If Americans burn their own flag in protest, what message does this send to our enemies? Veterans did not fight for our right to burn the flag; they fought for our right to proudly hang the flag on the porches and in the windows of our homes. They fought for our privilege to express allegiance to a nation that grants more freedoms to more people than any other country in the history of humanity. Burning the flag is not a matter of politics. It is a matter of disrespect for life, liberty and the pursuit of happiness. 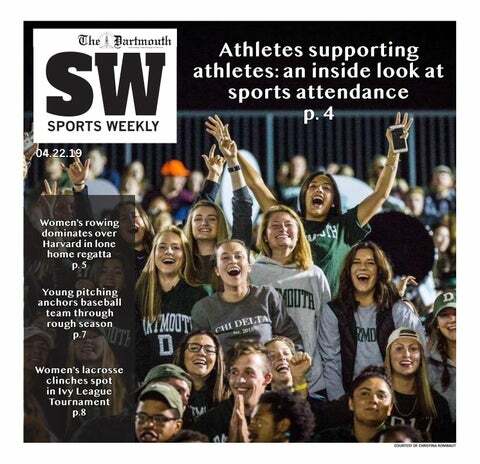 Submissions and questions may be sent to both opinion@thedartmouth.com and editor@thedartmouth.com. Submissions will receive a response within three business days.